As a way to round off another successful year filled with major campaigns and activities, Sigma Pensions recently launched a campaign tagged #DearSigmaSanta. According to the United States Agency for International Development, there are 17.5 million orphaned and vulnerable children (OVC) in Nigeria with no extended family or community members to cater for them. As daunting as this may seem, even more disheartening is the realization that every number represents a child whose life has been drastically altered by pain, loss and heartache. The “Dear Sigma Santa” campaign seeks to show kindness, give hope and remember these children who are the future by visiting a number of selected orphanage homes in Nigeria with several gift items. Also, notable in this campaign is the desire of Sigma Pensions to spread love this season in conjunction with stakeholders. This is not the first of Sigma Pensions’ commitment to the future of the young people in the country. The just concluded Phase 2 of the highly acclaimed Sigma Future Tour; was an avenue to support young and aspiring entrepreneurs where a N1 million start-up fund was awarded to young Nigerians in some universities and NYSC orientation camps. It is, therefore, no surprise that Sigma Pensions will be embarking on a Christmas campaign to empower children. Nominate an orphanage by filling the form provided with all the necessary information. And that’s it! 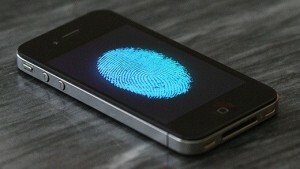 iPhone 6 To Feature Fingerprint Sensor?